Your dog should be given its vaccinations at six to eight weeks of age – but even if over eight weeks of age, come in as soon as you can to get your dog's vaccines done. It takes five days for the dog's body to respond to the vaccine – so don't delay - come in today. Booster shots should be given to your dog every twenty-one days until it is four months old for total of three to four vaccine sets. Heartworm medicine can be started as early as six weeks of age and is given monthly for the life of the pet or a six month injection is available that can be given twice a year. Heartworms are transmitted by mosquitos. 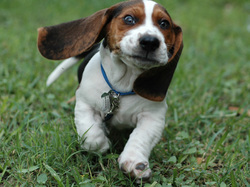 For more information on vaccines/shots for your dog, please feel free to contact us, or stop by our office. 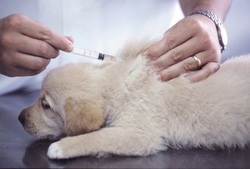 the vaccination, there is a 5 day window from when the vaccine is given to when the puppy has a protective level of immunity against the diseases. Puppies that are given their shots late, after 8 weeks of age, are at risk for getting sick with Parvo virus, Corona virus and Distemper virus. 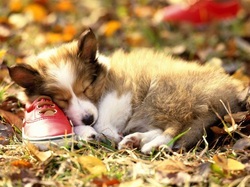 These diseases are commonly found in the environment and when you take your pet for a walk they can be exposed to disease on the ground and the viruses can even be brought home on your shoes. Rainfall often pulls the virus out of the ground where it has been lying dormant and brings it into contact with your dog or puppy and as a result un-vaccinated puppies very often get sick 1-3 days after it rains. Both puppies and kittens should be kept in a warm environment and be well fed. Two of the biggest problems with young, small pets is that they are susceptible to getting chilled and they are susceptible to low blood sugar. 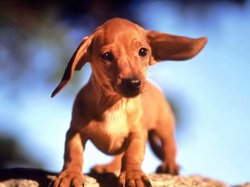 Puppies have a normal body temperature of 101 to 103 degrees F while ours is 98.6 degrees F so while a room may be comfortable to us, a small puppy will feel chilled as its temperature is higher than ours. The puppy can be even more chilled if kept on the floor as cold air sinks so its very important to keep this in mind and if necessary to even use a small room like the athroom with a space heater in it for those very small puppies that have trouble staying warm. 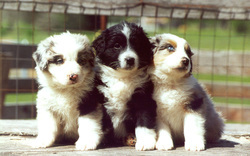 Puppies can get low blood sugar from eating dry food only or from a limited food intake. Small puppies are most susceptible to this and should have dry food out all the time as a snack and alsobe fed canned food or table food as the main meal, all they can eat, twice a day. Canned food or wet food has a much higher fat content and thus has a higher calorie count and it is also easier to eat and digest so the puppy will get a lot more energy out of wet food than it will out of dry food only. Remeber to keep food out all the time for your puppy as puppies can only be underfed, never overfed (though this is definitely not true for adult dogs). The smaller and younger the puppy or kitten, the more susceptible they are to these two conditions. A one pound Chihuahua puppy is much more delicate than a five pound Labrador puppy and would require a greater amount of special care in these areas. Feeding your small puppy bland table food like chicken with oil, hamburger, scrambled eggs, pasta and/or potatoes can provide a weak and thin puppy with a needed energy boost.